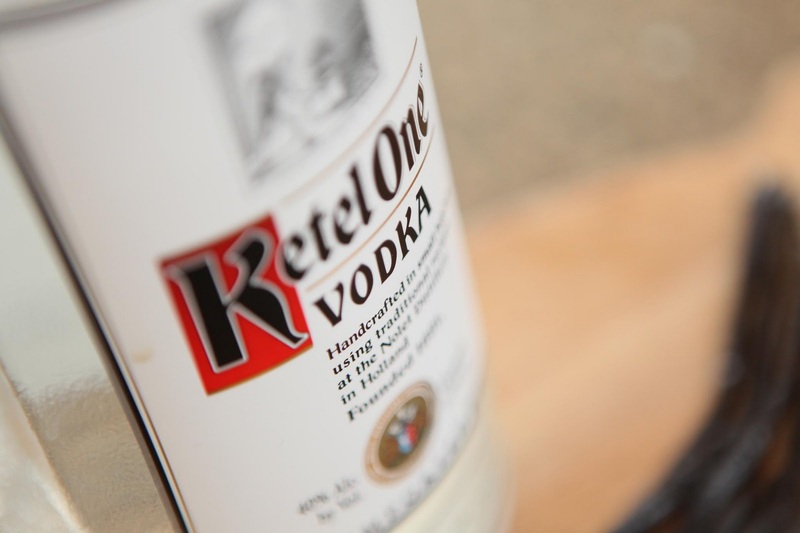 Do you happen to have some vodka just lying around? I do, but don't ask me why since I know nothing about mixing drinks. 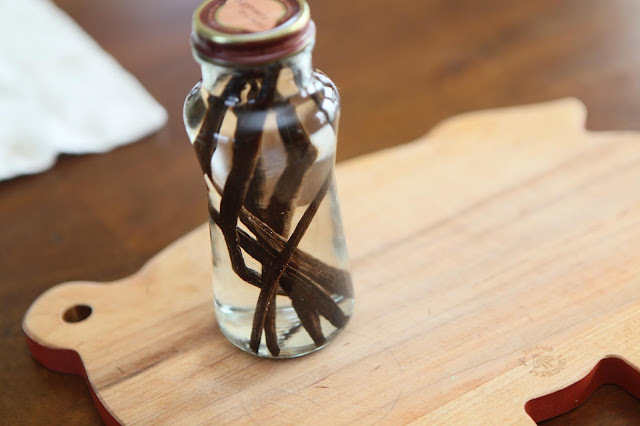 So, what better thing to do with it than make some vanilla extract! I found a wonderful, simple recipe here. Amazingly, all you need to make your own real extract is vodka and vanilla beans. 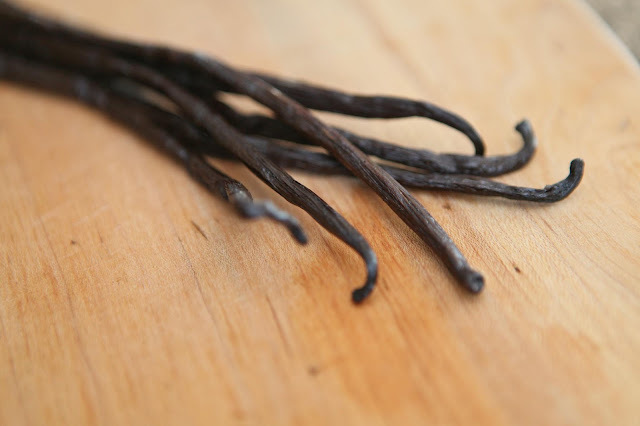 I bought some fresh and fragrant vanilla bean pods at the local health food store, and hopefully you'll know where to get some vodka (since I don't). I used a glass bottle I had saved simply because I liked the shape of it, and it worked out perfectly for this. The pods need to steep in the alcohol for a couple months, and I'll report back on my progress and taste test when it's ready. I have a good feeling about it, though, so hopefully you'll also want to give it a try. Can't wait to hear how it turns out. We always have Vodka in the freezer. If you extract turns out, I may be inclined to spare some of my stash to try it! I use so much vanilla extract do to the amount of smoothies I make...I would love to make my own...now I just have to find to find those "real" vanilla beans. On my next shopping trip to New Orleans i bet I can find them at Whole Foods..or maybe order them on the internet. Wonder if Amazon,com has them..I am off to check that out. Just love this blog...you have great ideas! If I find them on Amazon, I will report back! Well that didn't take long! Yes, you can order all shapes, styles and types at Amazon.com....so anyone who lives in a small town sans gourmet grocery store....no problem! Now, I am off to order some vanilla beans....hmmm, the big decision...what type of bean to order? Looking forward to the results. We don't have vodka in the house, but I would be willing to get some if it works. Will look forward to the results. That looks so pretty in the bottle! Interested to see how it turns out. Juat from my experience with anything homemade, I bet it will be amazing, like "so THAT's what vanilla extract is supposed to taste like..."
Thank you for the idea, Jaime! One of my friends sent me a DIY vanilla kit before Christmas. It came with a beautiful bottle and the vanilla bean, just add vodka. Mine should be ready in March, I think the directions I had said five months. Neat-o! Also, I bet vanilla is very tasty in smoothies. I'll have to try that! I have always wanted to try this! Please share on the final product! yummy...oh, and these photos are fantastic!! So happy to have found your lovely blog. yay! Glad to see I'm not the only one who makes her own. Once you make your own, it's insanely hard to go back to store bought!